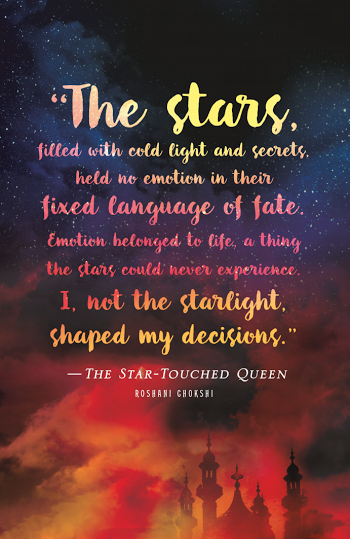 What/Who were your biggest inspirations for the characters in The Star-Touched Queen? Which character in The Star-Touched Queen did you personally relate to the most and why? For Maya and Amar, they were inspired by the Hades/Persephone. But I imagined those two mythological characters a little more differently. In Maya’s case, I knew that ambition was her defining trait, but I wasn’t sure whether that would manifest as seeking emotional or material fulfillment. Turns out, it was a bit of both. Kamala was inspired by my love of fiendish side characters like Mogget from Garth Nix’s SABRIEL and is probably the character I relate to the most. Her sense of humor can be a little abrasive. But she’s fiercely loyal to her friends. Other people in TSTQ were inspired by a collection of people whom I met/knew/heard of growing up. What is your dream movie cast for STAR-TOUCHED? What is the most exciting part about publishing your first novel? 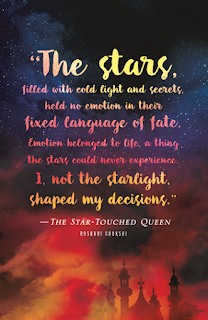 How did you build your world and keep everything straight for STAR-TOUCHED? 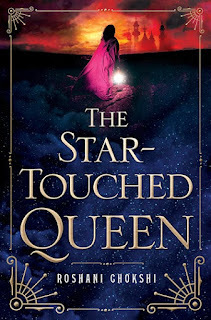 A lush and vivid standalone debut young adult fantasy that seamlessly weaves the Greek myth of Hades and Persephone with Indian folklore. 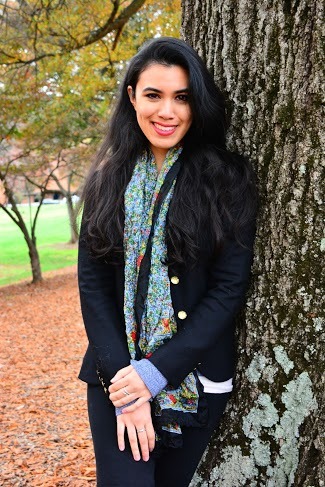 Featuring a smart, independent anti-princess who must take her place as queen and a forbidden romance that defies the odds, debut author Roshani Chokshi pairs beautiful writing with a thrilling pace and compulsive plot, using her own Filipino and Indian heritage to create a culturally diverse and vividly imagined world. But Akaran has its own secrets -- thousands of locked doors, gardens of glass, and a tree that bears memories instead of fruit. Soon, Maya suspects her life is in danger. Yet who, besides her husband, can she trust? With the fate of the human and Otherworldly realms hanging in the balance, Maya must unravel an ancient mystery that spans reincarnated lives to save those she loves the most...including herself.